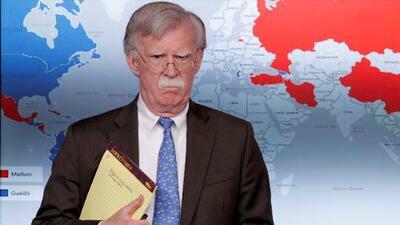 National Security Adviser John Bolton will announce the decision to fully implement Title lll of the Helms-Burton law in Miami on Wednesday. Brussels threatens the US with reprisals. The Trump administration will for the first time allow lawsuits against foreign companies "trafficking" in property confiscated by Cuba after Fidel Castro seized power 60 years ago, a senior White House official told reporters on Tuesday. The decision will allow implementation of a controversial clause, known as ‘Title III’, of a 1996 law which includes a provision authorizing the filing of lawsuits against entities using an asset in Cuba that was seized by the communist government and for which there is an unpaid claim for compensation. Title III had been fully waived by every president over the past 23 years due largely to opposition from the international community. The provision is likely to go into effect May 1 when a current waiver is due to expire. Implementation of the provision would require the Cuban government to resolve some 5,913 certified claims, under the Cuban Liberty and Democratic Solidarity Act, also known as the 'Helm-Burton Law'. It could also open the door to an unknown number of new claims that would have to go through a certification process. The administration has already allowed lawsuits against Cuban companies that control some of these confiscated properties. But a full implementation would also pave the way for lawsuits against foreign companies that have businesses in Cuba, such as the Spanish hotel chains, Melia and Iberostar, or Canadian mining company Sherritt. John Bolton, the president’s National Security Adviser, is planning to make the announcement on Wednesday during a speech to the Bay of Pigs Veterans Association in Miami, commemorating the 58th anniversary of the April 17, 1961 attack on Cuba by CIA-trained Cuban exiles. In recent months Trump has sought to increase sanctions against Cuba as part of a policy to oust the government of Venezuela's de facto President Nicolas Maduro, which the United States and more than 50 countries declared illegitimate after fraudulent elections last year. Cuba is Venezuela’s principal ally in the region and provides vital medical and military intelligence support which is credited with helping keep Maduro in power. The European Commission has threatened the Trump administration in writing with a possible complaint to the World Trade Organization (WTO) if it confirms its intention to target European companies with investments in Cuba, according to the Spanish newspaper El País. In a letter addressed to the U.S. Secretary of State, obtained by El País, Brussels "will activate all possible reprisals, including the possibility that US companies will also be confiscated on European soil to compensate for the losses suffered by European companies in Cuba," the newspaper reported.